Up to 300 people of Chechen descent might be members of various groups in Syria and Iraq, including Russian citizens and residents of Europe, according to the head of Chechnya Ramzan Kadyrov. Not all of them are members of ISIL (Organization banned in Russia). “We are interested in those who fight in the ranks of the ‘Iblis State’ “, Kadyrov’s public affairs office cites his words. “Iblis” is the Islamic name for the “devil”. 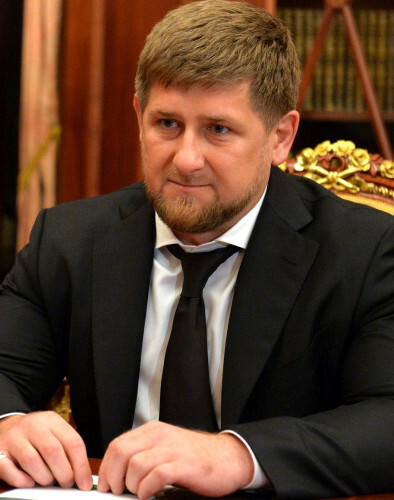 “Iblis State” is the way Ramzan Kadyrov refers to the so-called “Islamic State” (Organization banned in Russia). “People from Chechnya are not the only source of danger. They are in minority there,” he added. According to Kadyrov, it is necessary to do everything possible for every resident of Russia who is currently in Syria and Iraq to remain in the view of Russian intelligence agencies. “Our volunteers, who have nothing to do with military service or the Interior Ministry, risk their own lives, track down those who can be called leaders of various groups. They have personal scores to settle with these people and these scores will be settled, despite where the bandits might be trying to hide. This gives good results,” the head of Chechnya stated. This entry was posted in News from the Middle East and tagged Chechnya, Iraq, ISIL, Ramzan Kadyrov, Russia, Syria. Bookmark the permalink.